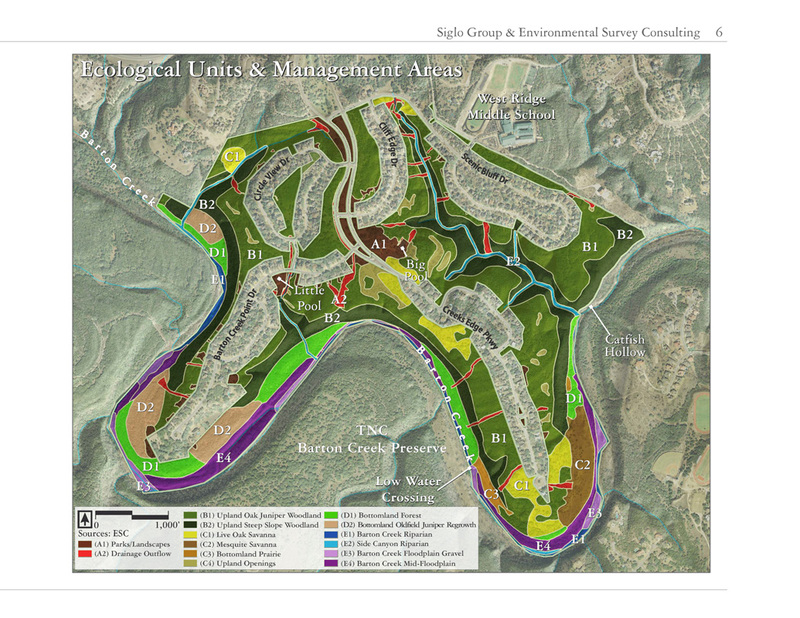 Siglo Group Integrating Land Use and Natural Systems through Cartography, Conservation, Regional Analysis, Site Assessment, and Web Geography. 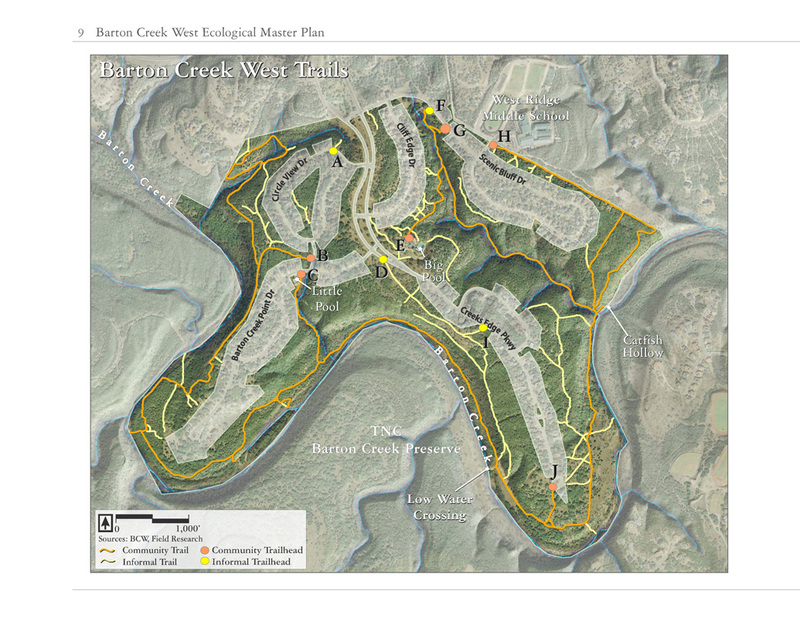 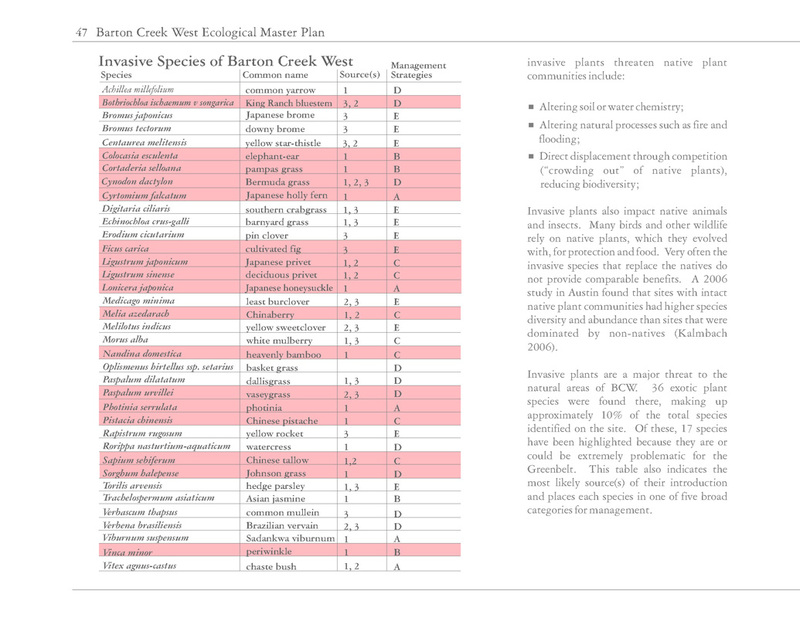 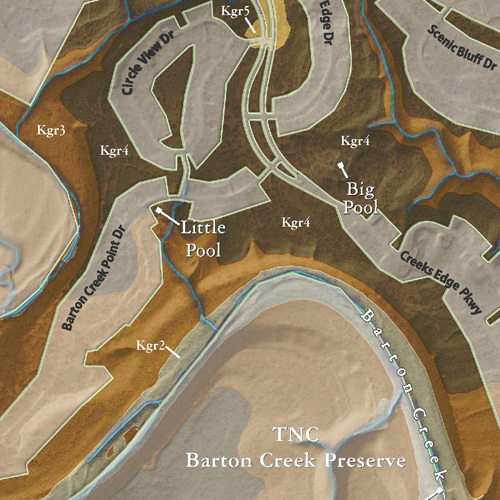 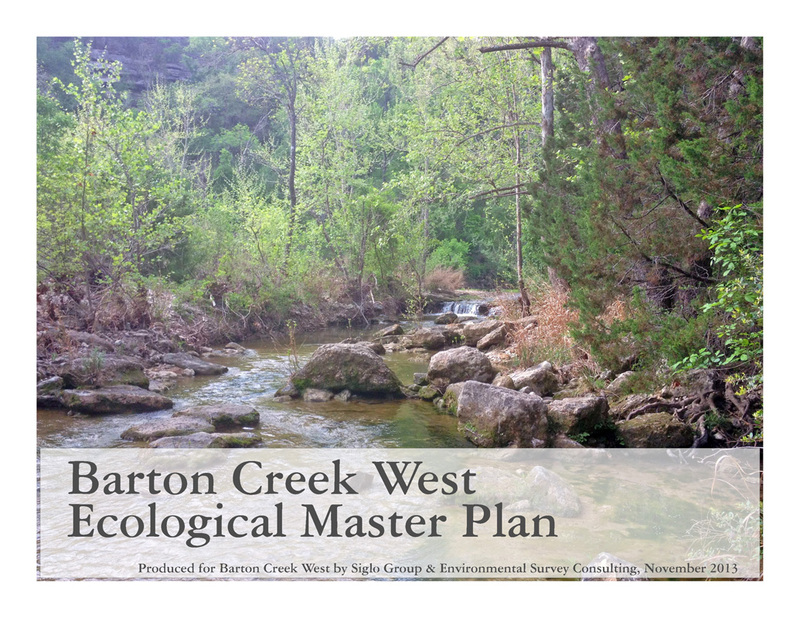 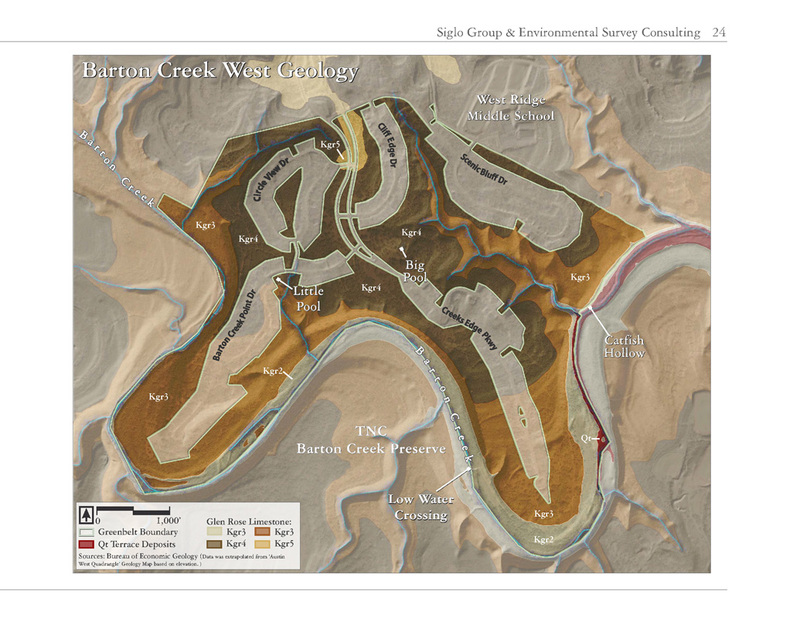 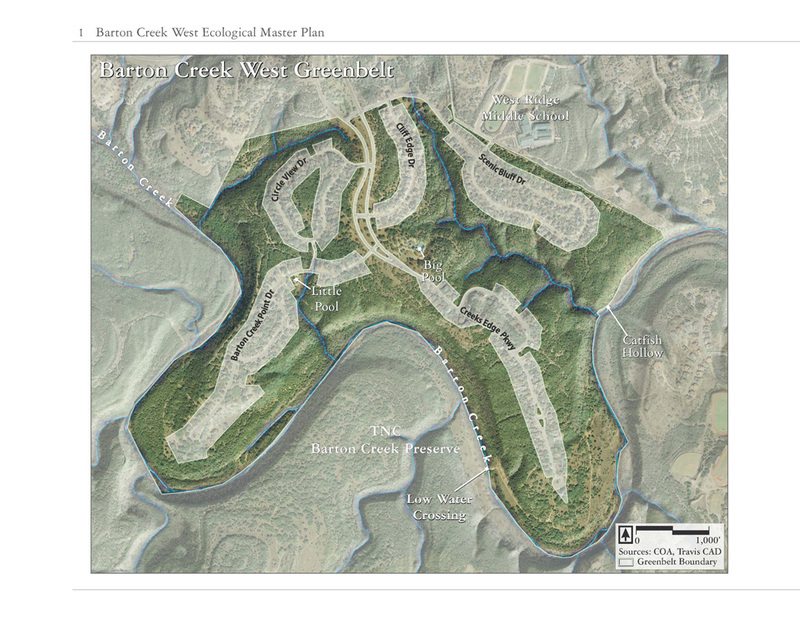 This Ecological Master Plan was created for the Barton Creek West Greenbelt, a privately owned 400-acre section of the Barton Creek Greenbelt, which includes spring-fed pools, beautiful, cool canyons, and towering shin oaks and cedar elms. 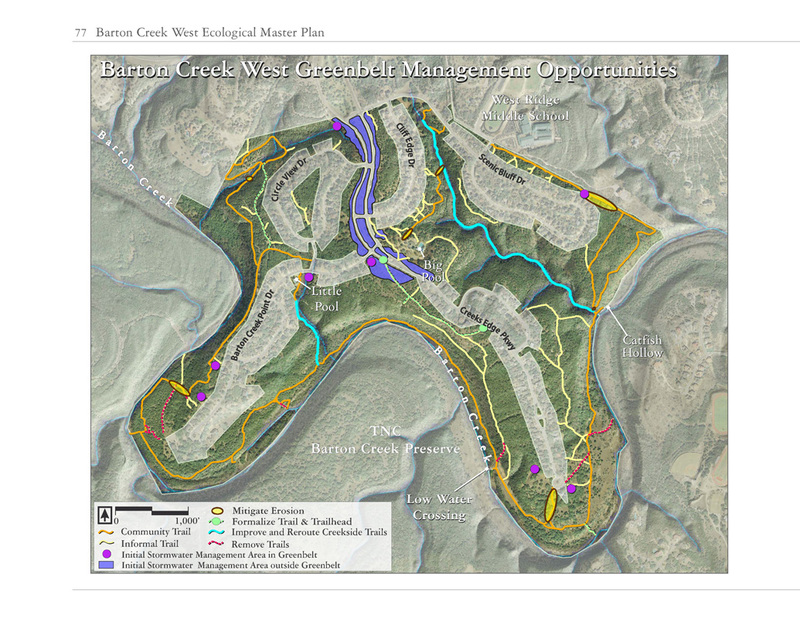 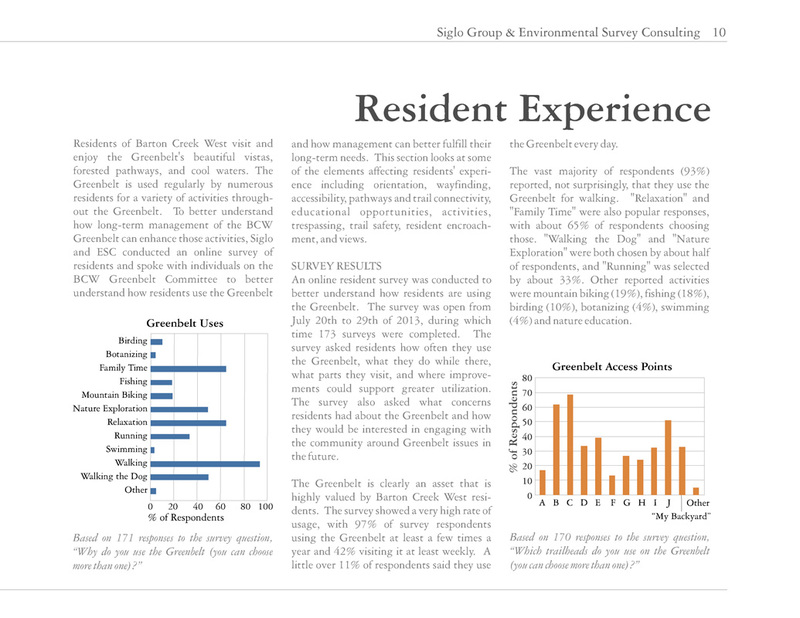 Siglo evaluated the health of the property, created an inventory of its ecological communities, and surveyed Barton Creek West residents. 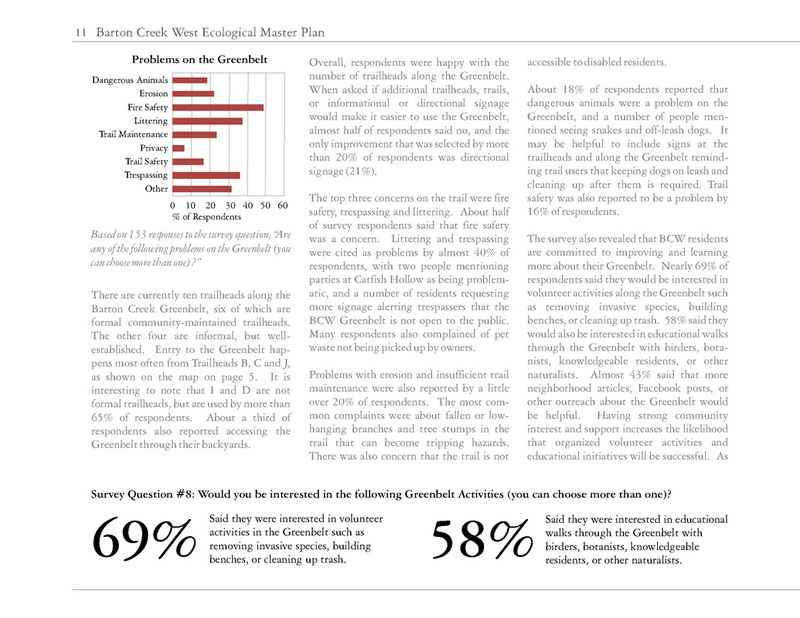 The final report provides recommendations for trail maintenance and alignment, invasive species control, ecological restoration, and stormwater management. 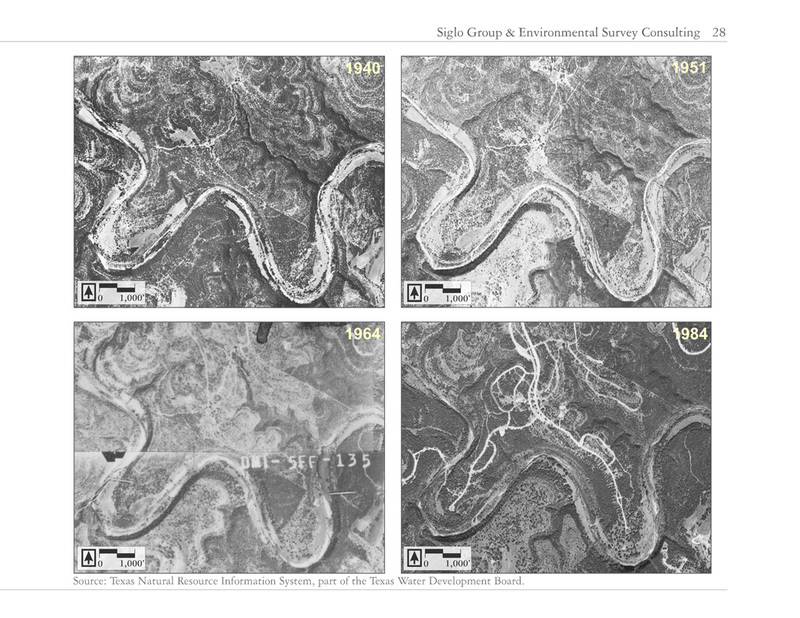 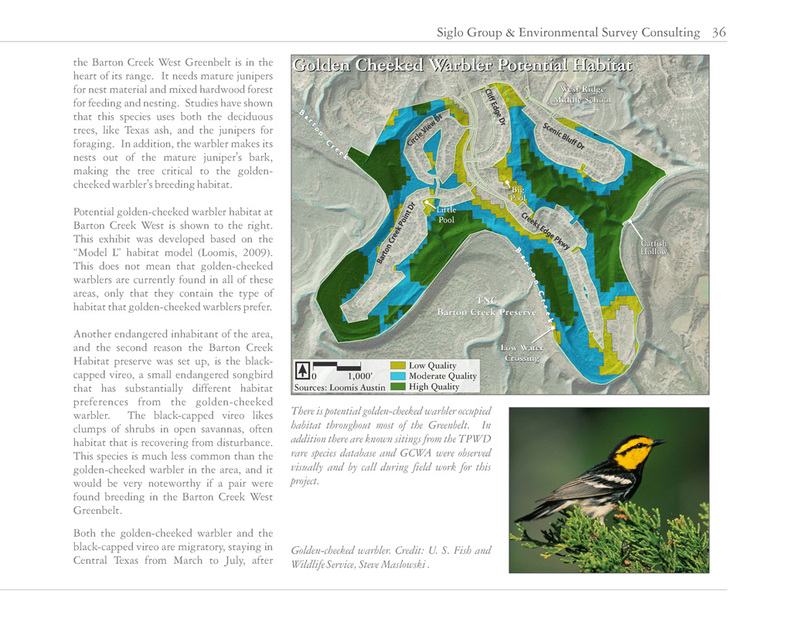 The work was completed in collaboration with David Mahler of Environmental Survey Consulting.